Michael Thompson. The Artist Without Borders Speaks About his Creativity for Positive Change and Peace Activism. 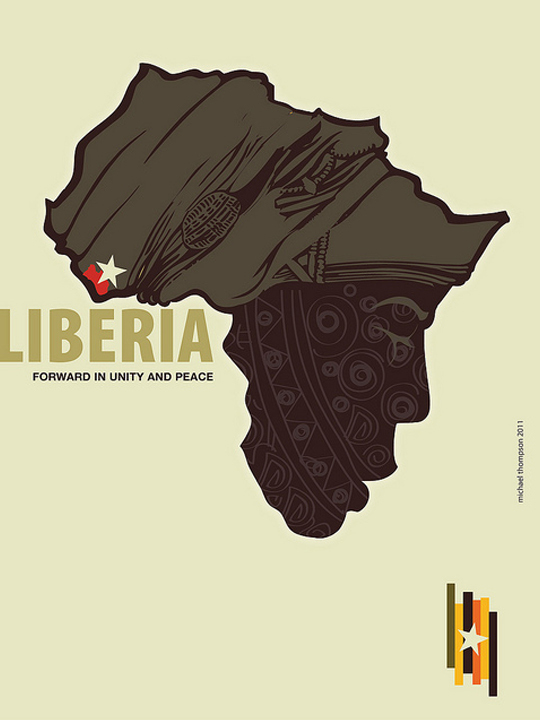 Michael Thompson is a graphic designer from Jamaica based on United States. I know Michael for some time now, I study his poster design and I respect his art and free mind very much. Recently, Michael gave me the pleasure to interview him. It was a very pleasant and constructively interview. We spoke about his ‘FREESTYLEE’, ‘without borders art’ and his creativity. Michael’s wish is to make a difference with art and to bring awareness to the many social issues affecting large section of our planet. Using his creativity for positive change and peace activism. “Art should speak loudly and make an impact for those who pause for a moment to look and think. Art should not only make pretty statements, but also make an impact on the lives of those who struggle or are oppressed. Welcome to GRaphicART Michael. You know how much I am inspired by your work. Tell me how did you started as a graphic designer? 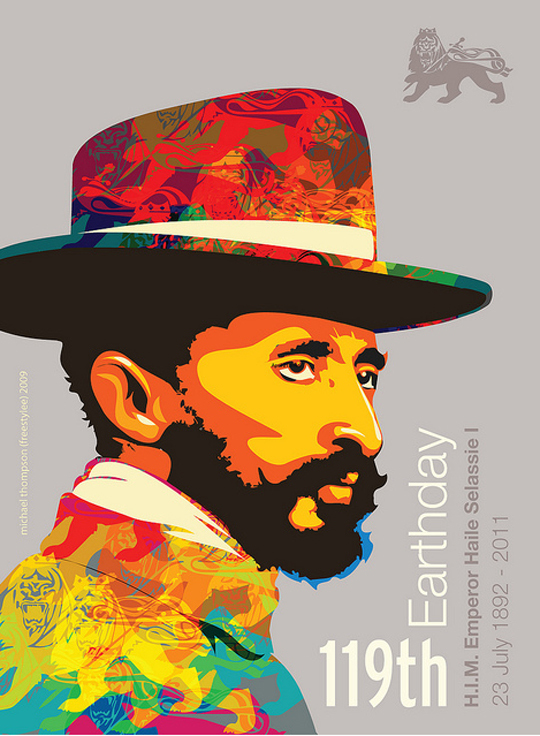 I studied Graphic Design at the Jamaica School of Art in Kingston, Jamaica. Now The Edna Manley College of the Visual and Performing Arts. After finishing art school I landed an apprentice position at a screen-printing studio run by a Rastafarian by the name of Jah Ned (Ned Willacy.) I think this was when I started to experiment with simple silhouetted graphic designs concepts suitable for screen-printing and poster art. I moved on when I got a full time job at The Daily News, a local newspaper in their graphic department doing pasteup. Followed by an offer from a small graphic studio in where I began to do more serious layout for advertising and Magazines. In the mid 80s I landed a job at Paisley Kelly Kenyon & Eckhart Advertising, which was one of the top agencies in the country then. There I worked on major advertising campaigns as a layout artist and illustrator. Years later, I joined a public relation firm Mike Jarrett Communications also in Kingston, this time as an Art Director. I have been living in the United States since 1990 and worked as a freelance graphic designer and consultant. It has definitely been a long journey. True. A really long journey. Into this journey you developed a passion on poster art. What made you to focus into this kind of art? I can’t remember exactly when I developed an interest in posters art. My passion for posters really exploded when I visited Havana, Cuba, In 1978. I was part of the Jamaican delegation to the 11th World Festival of Youth and Students which was an international event drawing progressive youths from many countries around the world. The festival was organized by the World Federation of Democratic Youth (WFDY), jointly with the International Union of Students since 1947. 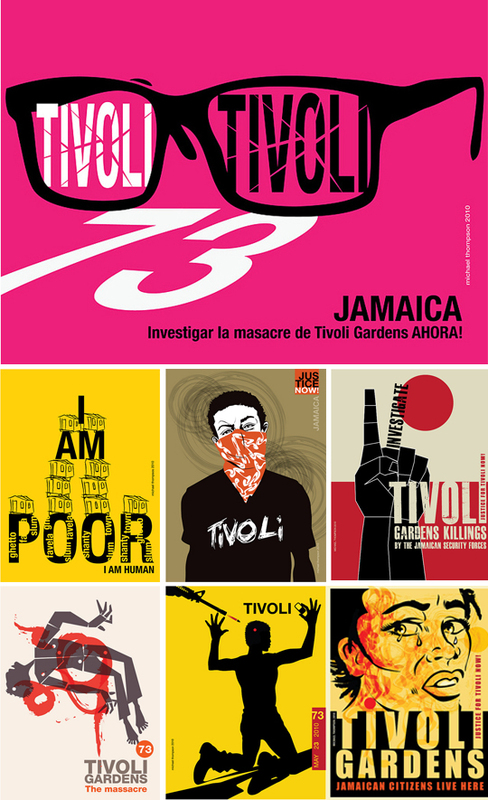 I created my first international poster for this festival as part of my contribution to the Jamaican cultural delegation, That poster was exhibited in Havana during the festival among others from around the world. Although I had seen Cuban posters in magazines before, I was blown away by the creativity and sheer number of posters I saw while attending the festival. 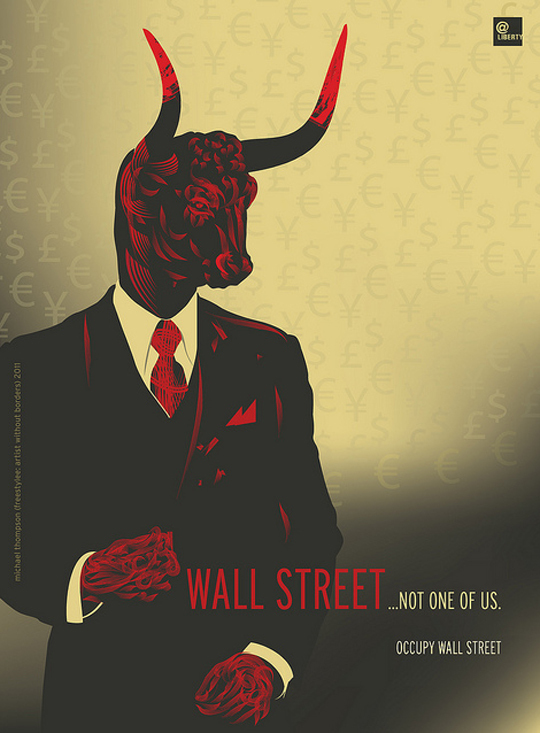 They were beautifully designed, colorful, and political fine art pieces. However, also celebrating Cuban music, dance, sports and film. 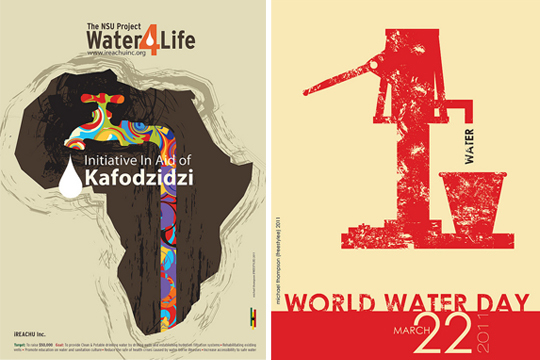 The silk-screen and lithograph posters were created by three main agencies, ICAIC (Cuban Institute of Cinematic Art and Industry), Editoria Politica and OSPAAAL (Organization in Solidarity with the People of Africa, Asia, and Latin America). Their creativity made a tremendous impact on my art from that moment. If you are familiar with Cuban posters you can see the influence in my art today. Visiting Cuba remains the important spark that set me on this creative journey in graphic design. 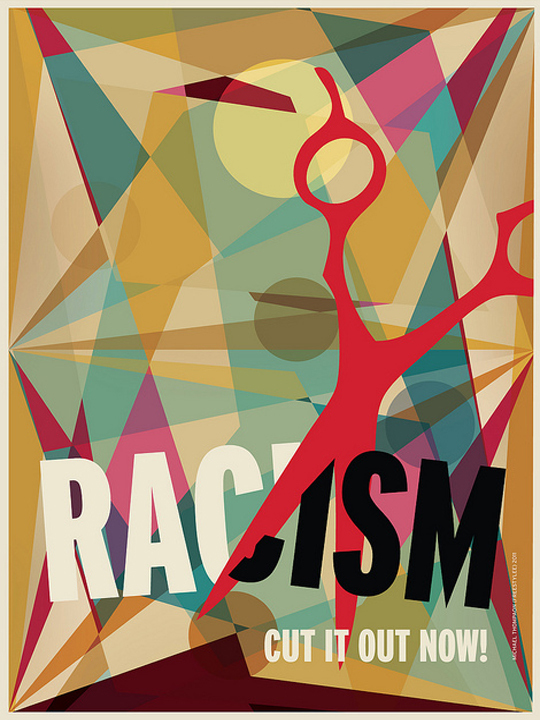 As a Creative Activist, posters are naturally the ideal medium and platform for solidarity and protest messages. The power of this creative medium has proved effective for over a century. Why not try to be a good poster artist I thought. On Flickr I go by the name Freestylee: Artist Without Borders. This name characterizes the international nature of my poster designs and Flickr provides the perfect platform for my activism. The web has become my virtual wall. My first protest poster was about an incident in Jamaica called the Green Bay Massacre. An incident that took place January 5, 1978, in which a number of young gang members from the poor ghetto in Kingston were lured to a military firing range outside the capital, where they were ambushed and executed by the Jamaica Defense Force soldiers. Back then it was hand painted acrylic on poster paper. My recent poster designs were ignited by another massacre, this time in the Middle East, when Israel launched a massive attack on the Gaza Strip during the winter of 2008–2009. 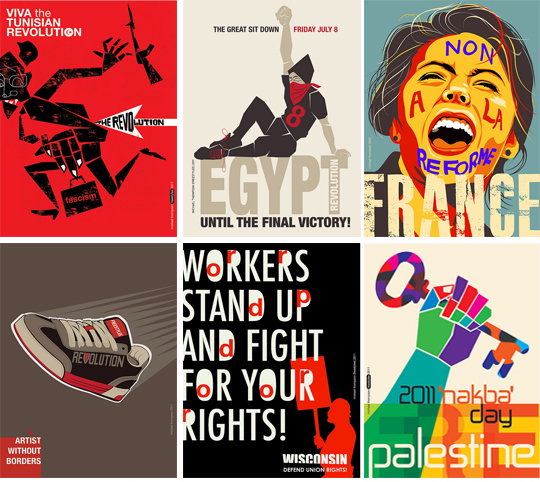 Again I began to make protest posters and posting them on Flickr, others were printed and used in the Gaza Freedom March held around the world one year after. This time the posters were created digitally and the response was immediate. Readers would like learn more about you. Would you like to speak us about this freestylee man? I guess design is in my blood. I strongly believe in the rights and freedom of expression and standing up for social justice everywhere, it is what has brought me to this place of Creative Activism. 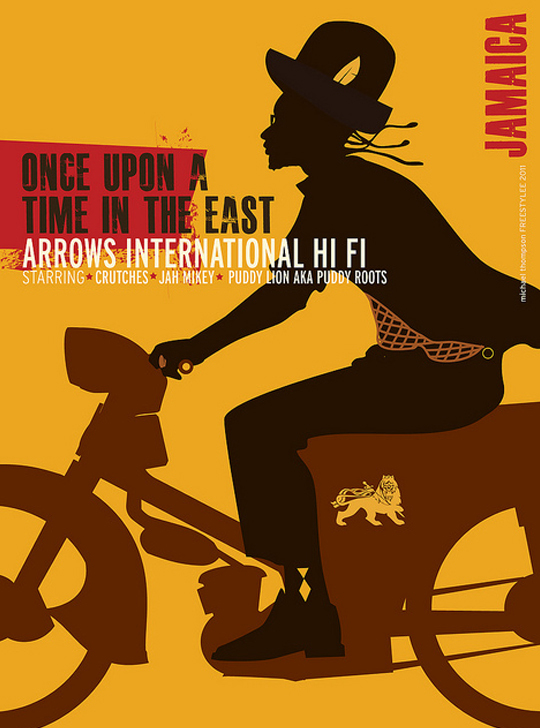 I am a big fan of Reggae music and all the Jamaican musical genre that came before and after it; Ska, Rocksteady, Dub, Roots Reggae, Dubstep, and the unique Jamaican Sounsystem. My interest is not just limited to the popular culture I grew up in, I also love different genre of music from Latin America, Africa and Europe, I can dig them all. As an designer I am preoccupied with the dialogue between form and function, I love crisp and clean lines in my art which I try to incorporate with a minimalist style, although I drift off course from time to time. That is ok, it is good to struggle with my self imposed discipline. My wife Maria and my son Dane (DST) who is himself an urban artist, are my biggest motivators and supporters. They believe in what I do and I appreciate that very much. 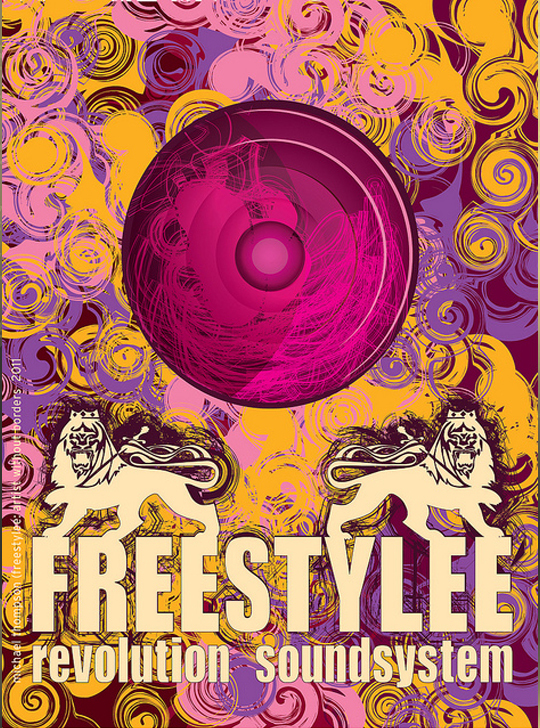 and I do not lock myself into nationalist propaganda; Freestylee is artist without borders. If I could live in a world, or have a passport with no citizenship I would be most happy. I read as much as I can and want to know more about the world and other cultures, my ideas are global and so is my thinking. 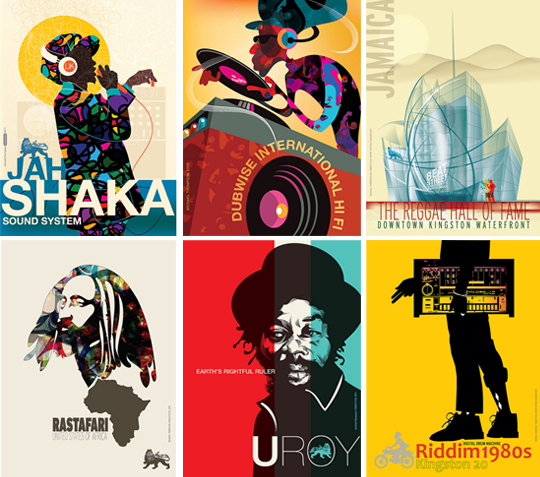 I’ve noticed that you design posters for Jamaican music and social issues. Which one you love most to work on? I seem to have developed a passion for both, one come from a love for the music and the artistes, and the other from my conviction that I have to stand up for social issues. If you live only to design for the reward of money then what spiritual satisfaction can one gain from that. What about standing up for “truth and justice” as Bob Marley convey. I cannot say I like one category over the other, at any moment I am thinking about the two, Jamaican music and in particular Roots Reggae. Roots Reggae is all about “Truth and Rights,” a message that is ever present in the songs of Bob Marley, Dennis Brown, and many other Reggae singers. I try to incorporate the idea of “Truth and Rights” in my art the same way as these Reggae artist incorporate it into their music. What do you believe designers will succeed with social design? Will it help the world to become a little better? We should always evolve to be better global citizens. If we as designers are aware, then we can play that role because we can influence change through creativity. However, the designer has to be awaken to do this. As designers and artist we use our creativity to sell products and push corporate interest. If we are socially conscious, then yes, designers who understand the reality can use their creativity for social progress and help the world to become a little better. I Increasingly see designers taking this road in their work. As creative people we are not immune to the voice of our conscience. 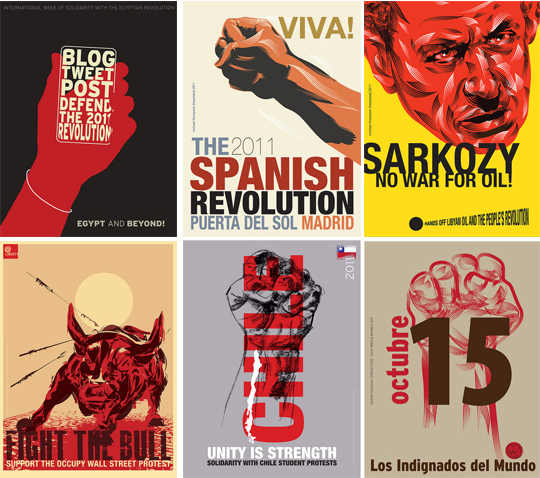 You told me that your posters are influenced by Cuban Posters. Who is your favorite designer that inspires you most? I am not inspired by just one designer. 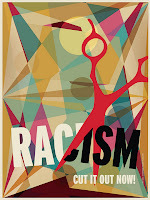 I admire the works of many designers, especially the post revolutionary Cuban poster designers. Designers such as, Roberto Figueredo, Faustino Perez, Alfredo Rostgaard, and Rafael Morante are on the top of my long list. I am also inspired by current artists/designers such as Ai Weiwei and Takashi Murakami. Are there any particular sources that are you inspired from? It’s hard not to be influenced by other sources of art, I am always inspired by contemporary architecture, paintings, sculptures and films. Sergio Leone’s “spaghetti Westerns,” Frank Gehry’s profoundly brilliant works has always inspired me. Definitely music, my iTunes is always playing something interesting and inspiring especially Sonic Youth, Lee Scratch Perry anything Dub and Roots Reggae. 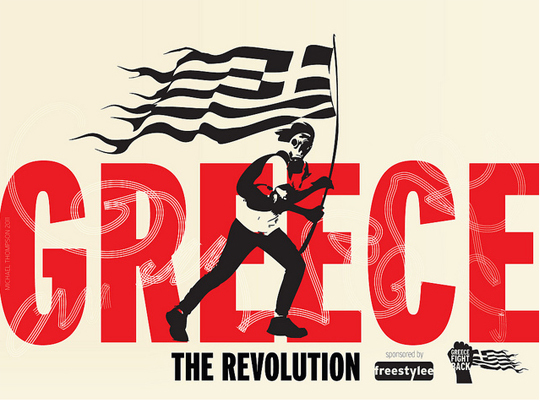 I am inspired by anything revolutionary. You are a designer for 3 decades. As a designer with long journey into art do you think the computer evolution has changed the designing quality? Has it changed you and the way you work? Well, it seems I have been around forever and the introduction of the computer was a transitional moment in my life. I can remember clearly the struggles adapting to the new softwares; first CorelDraw and then Adobe Illustrator. I had to adapt quickly to progress in this new technological environment. I view the computer as a wonderful tool and just like the digital camera it cannot make better photographs from a creative perspective. First there must be a creative person sitting in front of the monitor who know how to use the tools effectively. What I would agree with is that the computer has revolutionized the way we design and work, and it has improved our work flow and productivity. We can accomplish so much more in a shorter turnaround time, but the expectation and the demand is also higher as well. I am also constantly reminded that the Cuban artists that I admire had no computers in the 1970s (nether did I), but their works are still powerful and beautiful, quality is not automatic with technology or computers. Has it changed the way I work? Of course it has, however it has not changed my creativity, I am still the same designer that once worked with markers, glue, brushes and x-acto knives. My creativity has evolved with time and experience, but my design esthetics remain grounded in the same principles. I must give the computer credit for allowing more room to experiment and a basket full of options. I will not ask you which is your favorite poster. There are so many… but I am wondering which poster is the one you worked for with the most love? I now have over 500 poster designs, and honestly I try to include as much love and energy in all of them. I create all the posters because I have some deep rooted interest in the subject, be it solidarity, protest or celebration. They all get equal attention. All the pieces in my collection remind me of important global events or have cultural significance, like the iconic fist of the Egypt Revolution, the Tivoli Gardens Massacre or the Gregory Isaac piece that I created on his passing of this iconic Reggae singer. 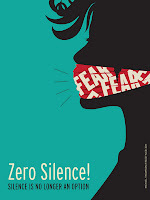 I am reminded of the Haiti earthquake and my participation in the Haiti Poster Project. I was so moved by the tragedy which destroyed Haiti and I remembered the helplessness I felt that I could not do anything physically at that moment to help these people. These pieces were able to help Haiti by being auctioned off along with many other posters from around the world to raise funds for Doctors Without Borders Haiti relief effort. So to answer your question correctly, I do not love one special poster. What process do you follow to create your poster? I think, then execute. It happens very organically and free. Once I decide what the subject matter is, the process is very “freestyle.” I do not agonize over process when creating my art, it seems to come naturally. Maybe I have become comfortable with this natural kind of process. Once I begin to move around a few graphic elements I begin to see things taking shape. Sometimes I have the idea in mind for a few days and the execution comes much easier. I do not sketch out my ideas on paper. It’s similar to the way of the Samurai warrior, usually I can visualize the poster as a completed piece in my mind from the beginning, although sometime it changes once I begin to execute the design. Once the subject is chosen the design executions moves freely until completion. I trust my instinct. Also, I do not need approval from a client for my poster art so this encourages my freedom of expression. I guess it took me three decades to build this kind of assurance. What would you advice the new graphic designers? The one thing I try not to do is to give advise about design. So much has changed since I started designing and much of what I admire are from the 1970s and 80s, in some ways I am attached to that period, with an open mind for the present of course. The only advise I can give is, follow your own path and trust your instincts. Open up your mind to new ideas and think outside the box. See your creativity as a way to not just sell your ideas to the corporate machine, but to truly consider your creativity the most important asset. Feel humbled to help others. Use this powerful talent as a tool to make a difference in the world. 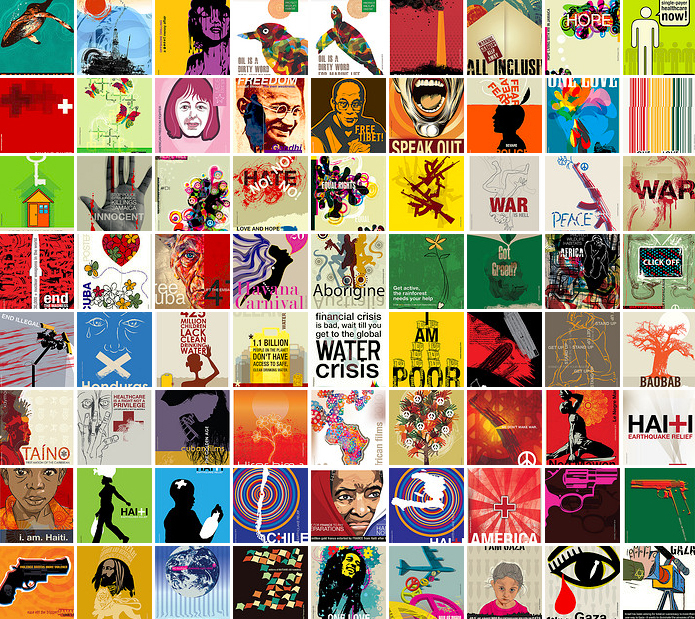 Which global issue is the one you would most love your design to sensitize the world? We in the West take clean water for granted. The lack of clean drinking water in many part of the world including Africa is a very serious problem. Millions are dying and many more are getting sick each year by drinking contaminated water. Children and girls especially have to walk long distances to fetch this brown water. It is a subject I constantly return to in my art. My goal is to expose this maddening problem, and to help organizations like FaceAfrica who are on the ground making a difference. FaceAfrica is drilling one well at a time in Liberia. This water problem is serious, and not a good sign for the future if we do not try to solve it now. Thank you Michael for being here for us. I really enjoyed our conversation.